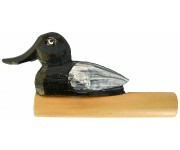 Hand painted and hand carved, these Duck Call Whistles come in assorted colors and styles. 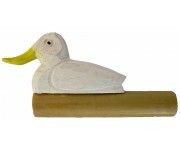 This one is the Natural colored duck and is approximately 5"L x 2.25"W x 7.5D. 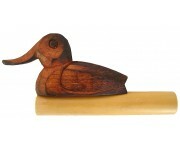 If you just like cute little ducks that make actual calling noises, or you have a friend that is a duck hunter going into hunting season, it is a great gift for either! 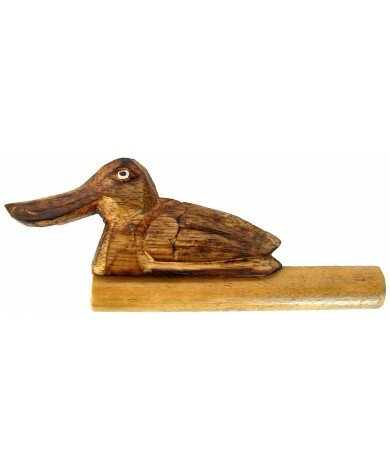 The cute little Duckings are hand carved / handmade in an Eco-Friendly / Fairly Traded work environment in Thailand. Color may vary. No two are exactly alike! Color may vary.